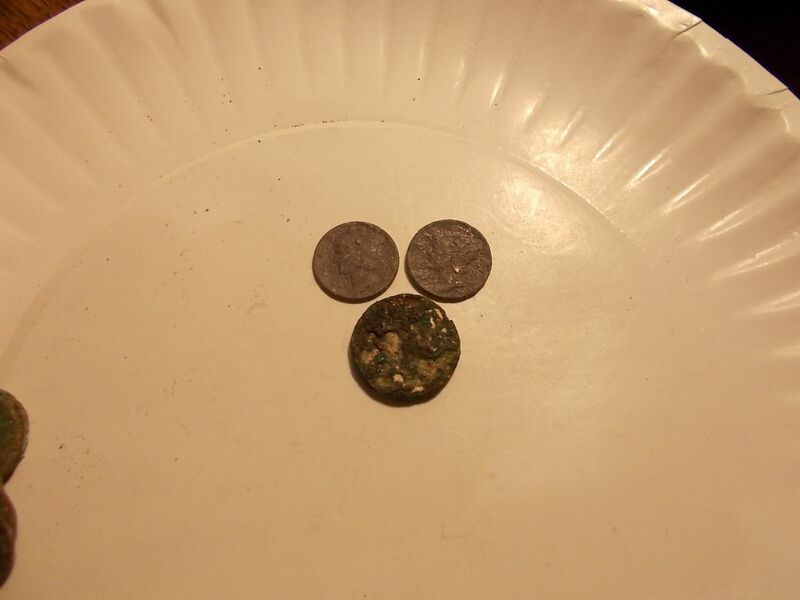 smoothing it over so I began looking for where that sand might have come from and soon found another section with targets...54 cents in old clad and the typical beach scrap and the keepers...a token that reads "this is my lucky day", a cool old miniature brass padlock, 6 wheats, a P mint war nickel and 2 Mercs, 19xx and 1942... ...silvers #88, #89 and #90 Late in the season and it's getting cold now. 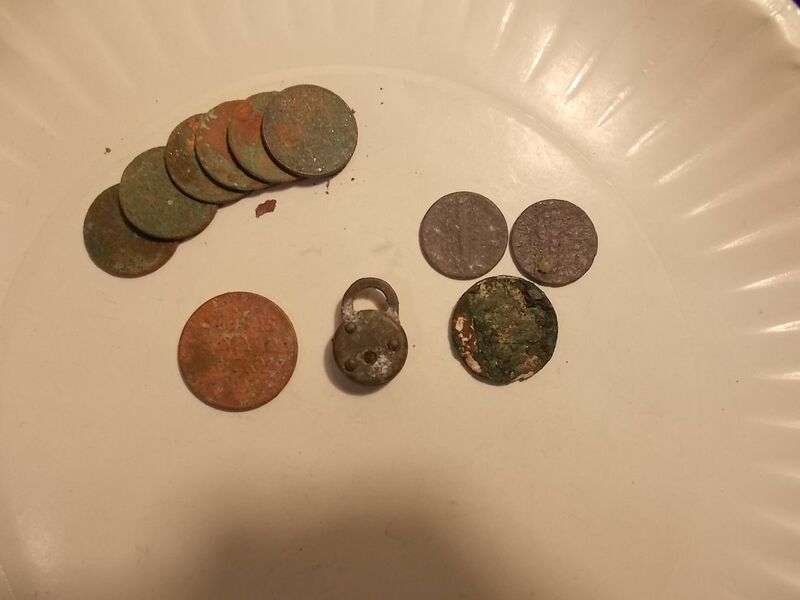 Today it was maybe 30 degrees and dropping fast as the sun set, leaving me with 22 days to find 10 more silvers...and maybe some gold That's all for this outing so as always...thanks for the looks, see you after the next and Happy Hunting! I think I would carry the "This is My Lucky Day" token on me for the rest of my life if I found it. Congrats on the three additional silvers! Keep diggin' it! You'll be hittin' 100 for sure! I think you can smell the silver Captain, and I agree with Felix. I would carry the luky day coin. Wow man, congrats on the silvers and token! Little padlock is cool too. Congrats on the silver Bruce and hope you can get those 10 silver coins before years end. 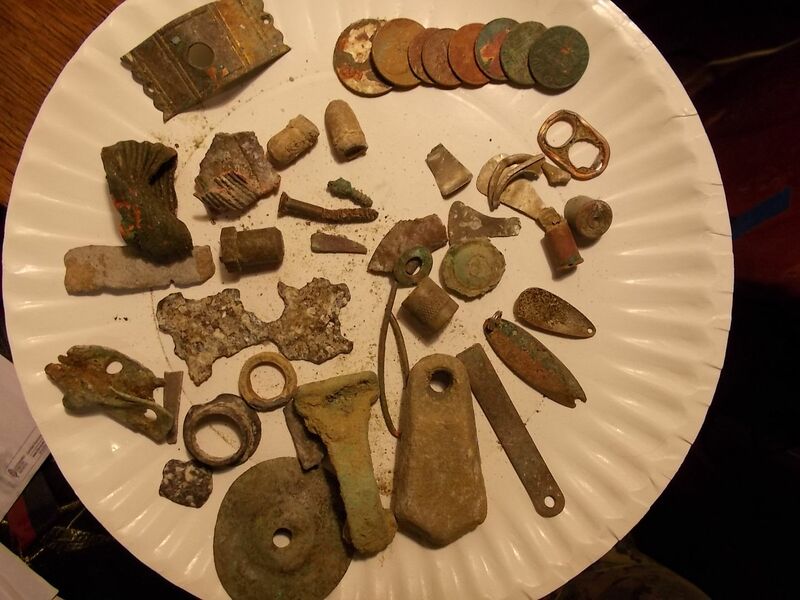 Nice finds especially the token and padlock, congrats on getting out in the cold. Nice silvers, will you do anything to them or leave them in that state? Or is there anything you can even do with them? I have tried google searches but not much comes up.